Join Mayne Stage this weekend as it continues its Preview Series through Saturday, June 12 with tickets for just $10. 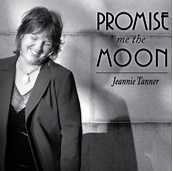 The Jeannie Tanner Quartet brings jazz to Mayne Stage with special guest The Sandra Antongiorgi Trio on Friday, June 11. The music begins at 8 p.m. and tickets are $10. 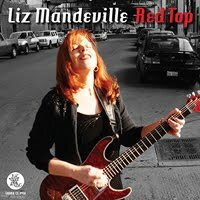 Closing out the Preview Series on Saturday, June 12 is Liz Mandeville - Singer, Songwriter, Speaker, Shimmy Shaker & Red Hot Mama! With her "cut to the bone", original, Roots-inspired songs and sassy onstage patter, Liz injects any audience with an instant shot of fun. Joining Liz Mandeville & the Blue Points featuring Will Crosby are special guests Tail Dragger, Peter Struijk and Lance Cameron. The show begins at 8 p.m. and tickets are $10. Following this preview series, Mayne Stage welcomes the TBS Presents a "Very Funny" Festival: Just for Laughs June 17 - 20. Official show times can be found at www.justforlaughschicago.com. A complete list of scheduled shows, additional information and tickets are available at www.maynestage.com. Please note that all shows are subject to change.